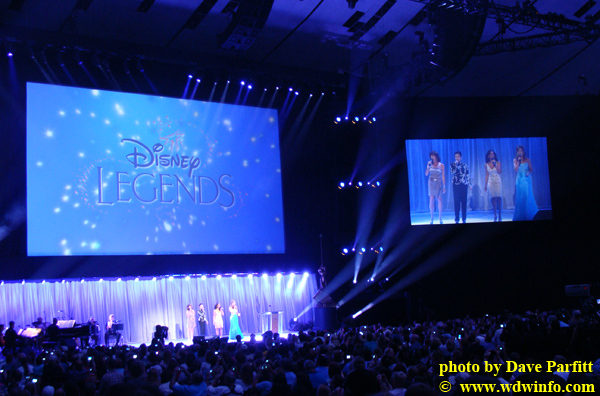 The D23 Expo kicked off on Friday, August 19th, and the first large arena presentation was the Disney Legends induction. 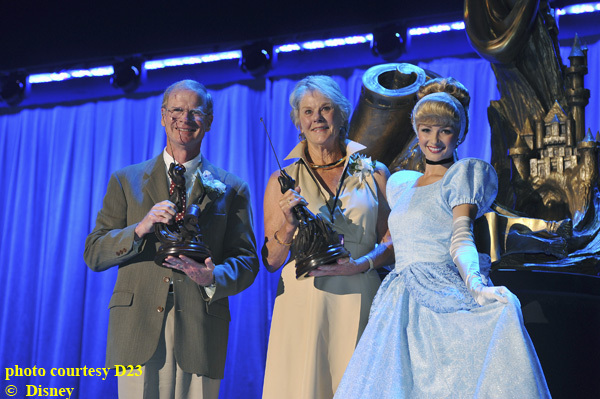 Thousands of Disney fans watched as 12 luminaries received the honor of Disney Legend status, and the ceremony did not disappoint. We were serenaded by contemporary princesses belting it out on stage, and touched by family members accepting posthumous honors for their loved ones. Continue after the break for a full report of the proceedings. 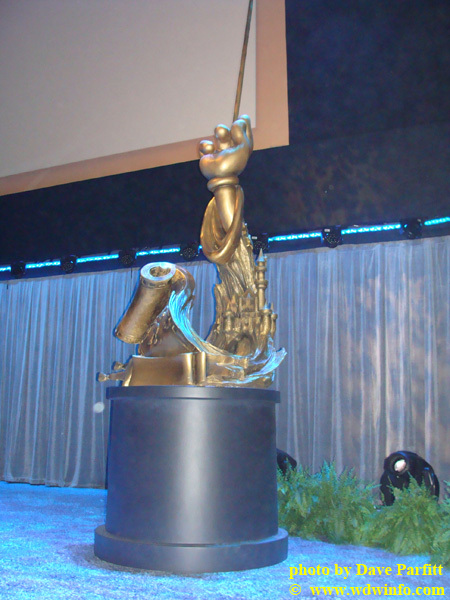 Chairman of Disney Parks and Resorts, Tom Staggs, welcomed us and explained the significance of the Disney Legends statue designed by famed Disney sculptor Blaine Gibson. The spiral signifying imagination, the hand – skill and artistry, and the wand – the magic that happens when imagination is combined with the skill. 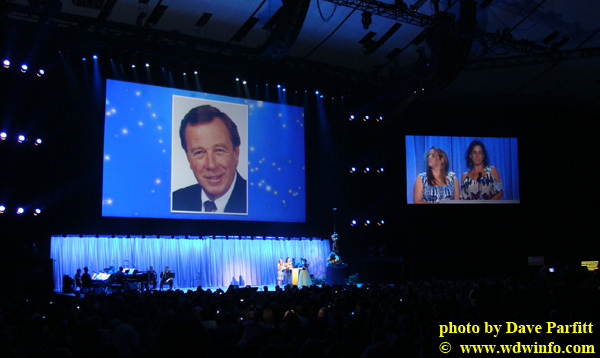 He offered a video tribute to the Disney Legends who had passed away since the 2009 D23 Expo, and we watched a cavalcade of familiar faces fill the screen including Rue McClanahan, Wally Boag, Betty Taylor, and Roy E. Disney to name a few. Staggs introduced ABC television Host Tom Bergeron who would host the proceedings, and brought just the right mix of levity and pacing to the event . 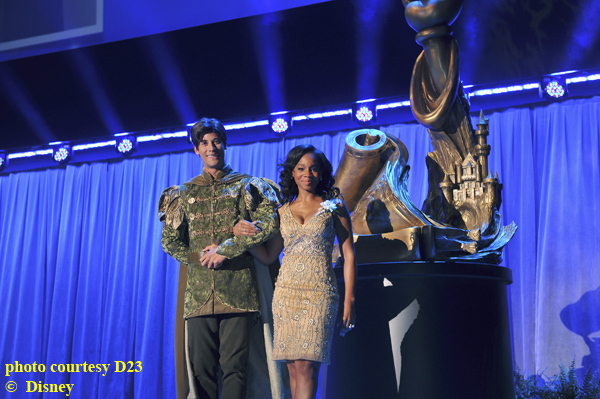 The first inductions included the actors who provided the voices for all the contemporary Disney Princesses. 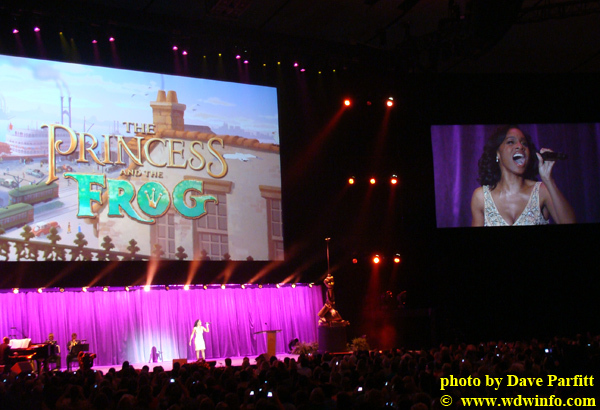 Anika Noni Rose, “Tiana” from Princess and the Frog, was the youngest recipient ever to receive the Legend award. Next was Linda Larkin, the speaking voice of “Jasmine” from Aladdin. 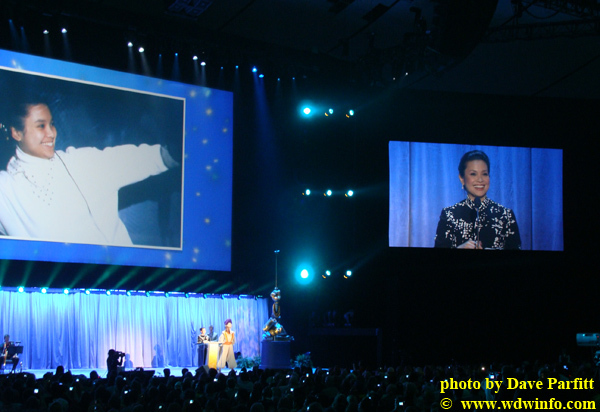 Lea Salonga was the singing voice for two princesses: Aladdin’s “Jasmine” and “Mulan”. She offered a funny perspective when she thanked Linda Larkin for “not knowing how to sing” so she could stand here today. 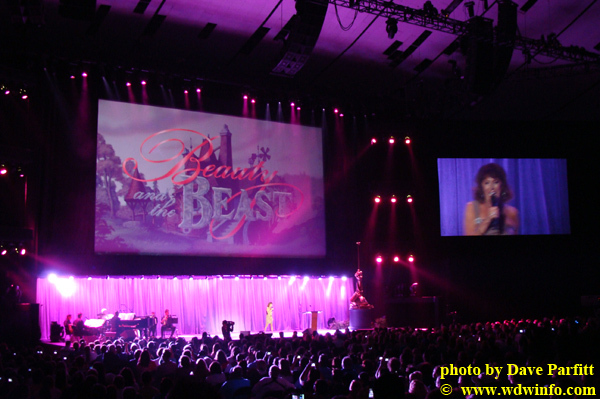 The emotions continued to flow when Jodi Benson, voice of “Ariel” from The Little Mermaid, took the stage. She mounted the stage and barely held back the tears as she showed her 27 year old cast member card saying her “heart is with this company.” She expressed her love for Ariel, Barbie, Lady, and proudly exclaimed how much her work mattered to her. Lea Salonga, who has sung on Broadway in “Miss Saigon” and “Les Miserables”, gave the audience chills as she sang “Reflections” from Mulan. 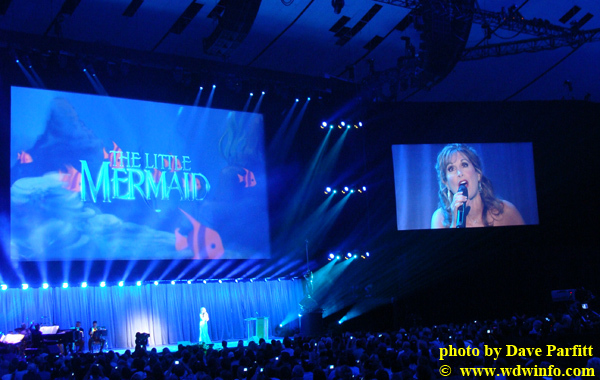 The audience participated along with Jodi Benson singing the iconic “Part of Your World” – answering the questions posed in the song. However, we were not done there. All four Legends came out together to belt out “A Dream Is A Wish Your Heart Makes”, and the Arena erupted with a standing ovation afterwards. The Disney Princesses made for a difficult act to follow, but next up was Ray Watson, former Disney Chairman of the Board, and the person responsible for Walt Disney World expansions with River Country and EPCOT Center. Bartin “Bo” Boyd was the lead merchandiser for Disneyland and organized all the merchandise for the opening of Walt Disney World. He also ran Disney Consumer Products. 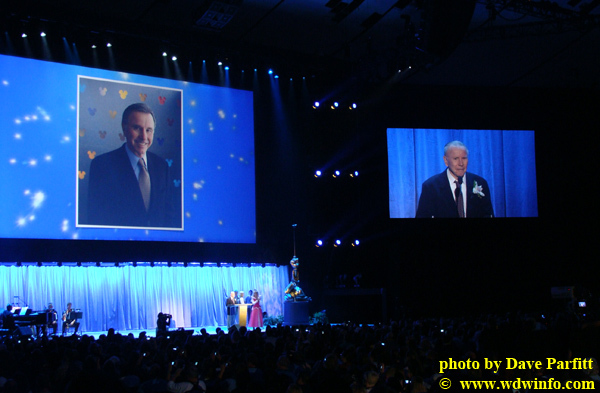 He passed away a few months ago, and his daughters accepted the award on his behalf stating “Dad was Disney.” They shared how their father loved events like the D23 Expo, and came home crying at the outpouring from the fans. Guy Williams was the actor who played the masked avenger “Zorro” for the Disney TV series and 2 feature films. 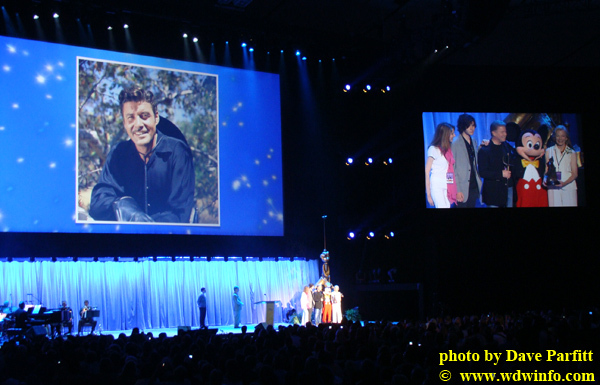 He passed away in 1989, and the award was accepted by his family including his wife, children and grandchildren. His son brought his father’s sword from Zorro to the stage to salute the fans, and thanked “Uncle Walt” for selecting the right guy to play the part. The many contributions of Jack and Bonita Wrather for the Disneyland Hotel earned them their Disney Legend status that was accepted by their family. 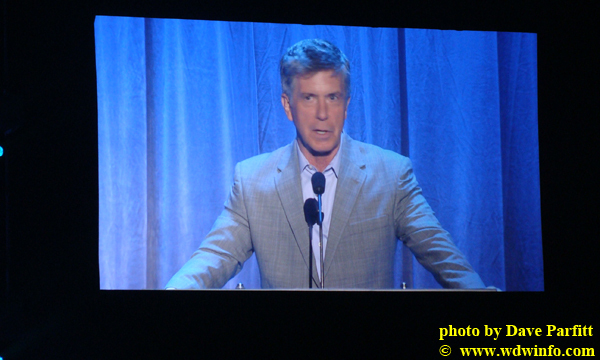 Tom Bergeron recalled that the opening rate for a room at the resort was a mere $15. 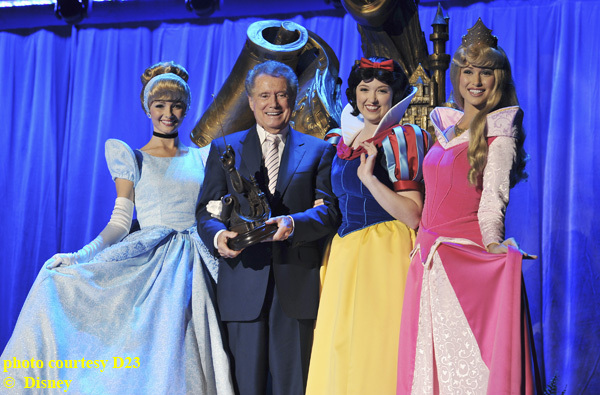 Next up Regis Philbin accepted his award, he joked about being “last” to the stage – that he planned to sing and bring a sword. The last honoree to receive the award was Jim Henson, creator of the Muppets. Of course, he is receiving the award posthumously, and it was accepted by his children. 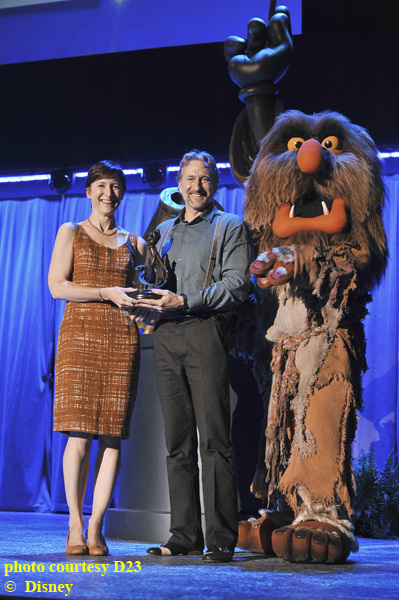 The crowd went wild when Jim Henson was finally announced to receive his award. Kermit and Rowlf performed a duet of ”Rainbow Connection” that ultimately turned into an audience singalong. 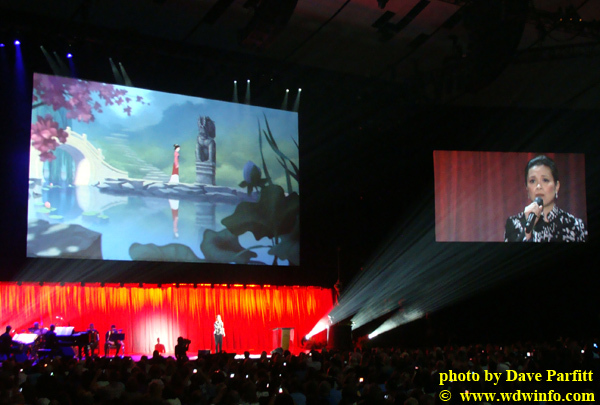 It was a perfect way to end an incredibly moving ceremony, and a fantastic start to the D23 Expo. 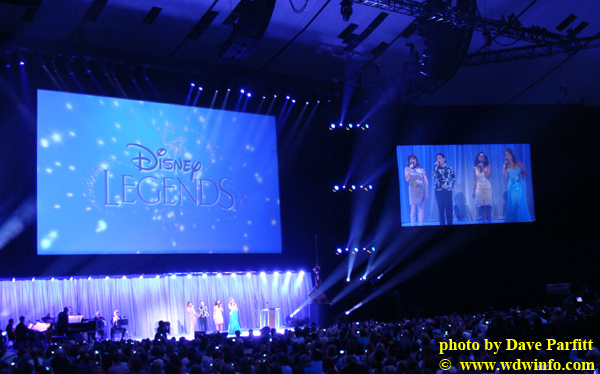 Did you happen to see the Disney Legends Induction? What did you think? Share your thoughts in the comments below.